We’re delighted to have Flo back with Team Petter Karlsson for her second season. Flo is an experienced guide who has introduced guests to the wonders of dogsledding in Canada and Norway before joining us here in Sweden. She came to Slussfors “to learn from the best and be one day able to have my own dogs and provide the best care and training”. 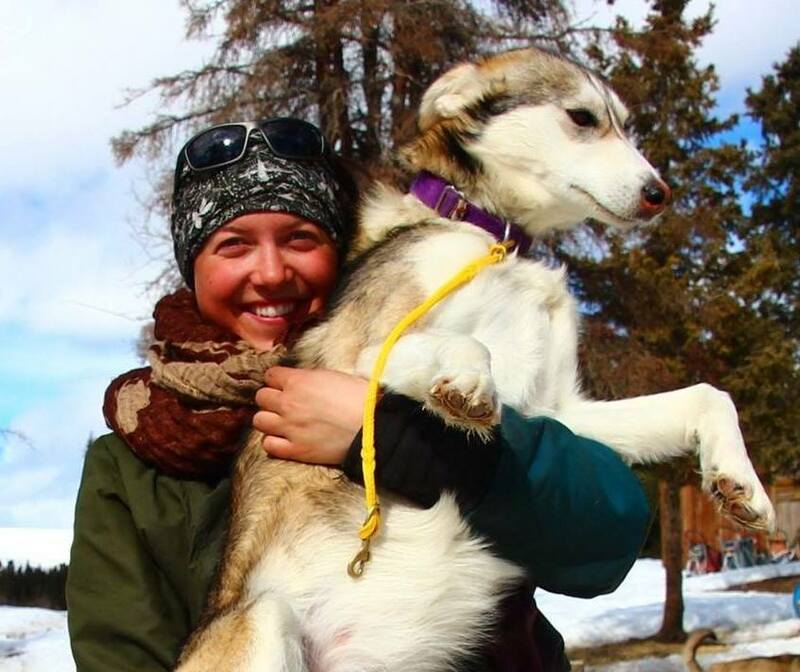 She loves the guiding life, and gets a lot of joy from “teaching guests how to take care of their dogs, live off the grid for a while and enjoy the beauty of Northern landscapes while being pulled by a bunch of happy sled dogs!”. This year Flo is also training for the Metsjovïdda Fjäll Race in January, where she will run a team of key reserve dogs for the A and B teams.